It’s no secret: The United States has lost nearly a third of its manufacturing employment since 2001. While the causes of this decline are numerous (and sometimes hotly debated), there’s widespread agreement on one fundamental factor: many large firms have zealously pursued offshoring strategies in recent decades because of an overriding focus on short-term metrics like unit price and direct labor cost. Today, a growing number of U.S. manufacturers are rethinking this approach — and re-imagining how they relate to their supply chains. Beyond a strict focus on low unit price, many firms are now making purchasing decisions based on a broader range of criteria, including total cost, proximity to customers and suppliers, quality, and overall risk minimization. Some manufacturers are coming to view their suppliers as genuine partners — sources of ideas and feedback on design and engineering — not just external contractors that can cheaply provide the needed part. These manufacturers understand that suppliers typically account for 50 to 70 percent of final production value, so they are critical to overall competitiveness. They also understand that it’s not possible for a firm to make the bulk of its product components in the same overseas factory as its competitors and still claim a truly differentiated product or a sustainable competitive advantage. 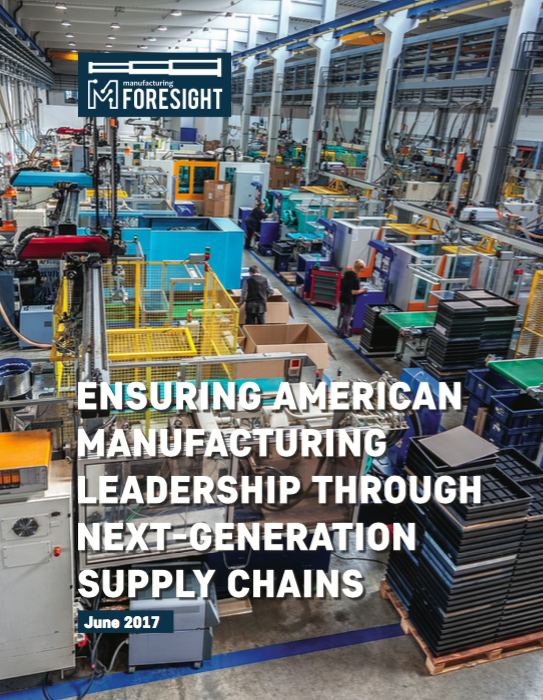 A new report from MForesight: Alliance for Manufacturing Foresight, Ensuring American Manufacturing Leadership Through Next-Generation Supply Chains, investigates a growing multi-sector focus on Supply Chain Optimization (SCO) — tools and techniques for integrated design, engineering and production, enhanced information sharing, and more collaborative decision-making between Original Equipment Manufacturers (OEMs) and their suppliers. 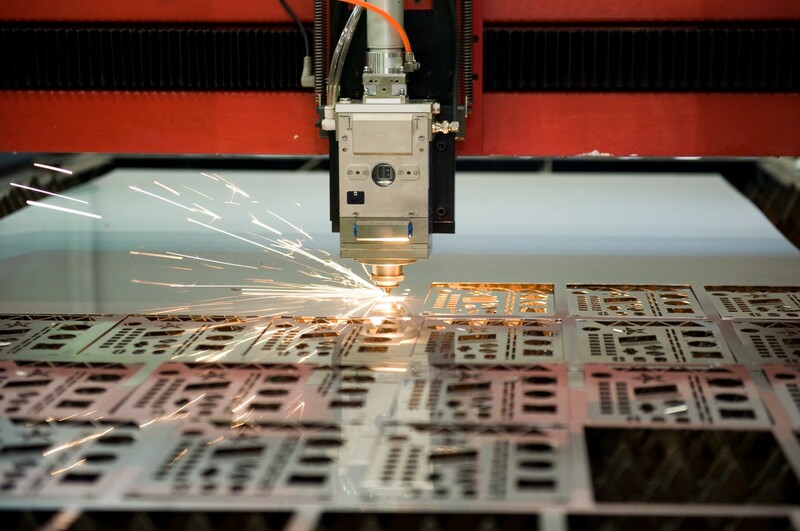 The use of methods like Design for Manufacturing (DfM) and Value Engineering, through which OEMs can better harness suppliers’ process knowledge, working collaboratively to refine part designs for more efficient, higher-quality production. These methods are much more common than they used to be: in the automotive supply chain, for example, the share of suppliers contributing to part designs rose from 48 percent in 1989 to 70 percent in 2011. New methods to help OEMs understand their suppliers’ costs and make strategic buying decisions by including financial calculations (e.g. Total Cost of Ownership tools) for each activity in the supply chain: materials, design and engineering, production, transportation, storage, distribution, and final sales. New information systems, sensor networks, intelligent controls, and a range of computer-based tools are creating opportunities for more precise control of production reaching into multiple tiers of the supply chain. Real-time information flows make it possible for OEMs to work with suppliers to increase flexibility of production, to keep supply synchronized with demand, and to identify necessary redundancies in the supply chain to minimize the effects of disruptions. While large manufacturers are increasingly aware of the importance of the supply chain and increasingly keen to adopt best practices, most SCO tools and techniques have yet to be widely implemented. Only a minority of manufacturers have adopted these practices in a significant way, though the advantages are becoming apparent and momentum to implement them seems to be growing. Changes in supply chain management can be cultural as well as technical. Adopting SCO practices often requires a firm to be open to external perspectives and to eliminate organizational “silos” in managing supplier relationships. Diverse partners are key. In particular, the report emphasizes the crucial role of federal programs and public-private partnerships — like the Manufacturing USA institutes and Manufacturing Extension Partnership — in enabling the evolution of the supply chain. Restoring America’s competitive edge requires a new approach to managing suppliers — one in which all players are connected, collaborative, and focused on maximizing shared value. The rise of the “smart supply chain” isn’t just about boosting quality and efficiency. It’s about supporting the resurgence of the U.S. manufacturing ecosystem and national leadership in global innovation.